Membership entitles you to the discounts listed below. 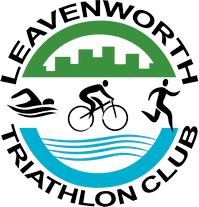 To join, contact Bob Garven or George Hodge at info@leavenworthtriclub.com, or come to a club meeting and join there. Xterra Wetsuits’ core mission is to make your triathlon swim fast and comfortable, and to offer you the highest performing wetsuit at the best value. They’ve been doing this all over the world since their founding in 2001. Each of their owners is a triathlete who wears what they make, and they treat their customers the way they want to be treated when shopping for technical triathlon equipment. – Club members receive 50% off Xterra Wetsuits. Pacific Health Labs products include drinks, powders and gels designed specifically for a triathletes needs. Whether you are training, racing, or recovering, Pacific Health Labs has a product to help you out. – Club members receive discounted prices on Pacific Health Labs products at club meetings. Santa Fe Trails Bicycle & Coffee Shop is locally owned and operated in downtown Leavenworth. Their sales staff is knowledgeable and eager to help you with all your cycling requirements. They feature Trek, Specialized and Redline bicycles and carry a full stock of triathlon accessories and clothing. – Club members receive 10% off accessories. At Gary Gribble’s Running Sports, every athlete is treated as an individual and every individual is treated as an athlete. They have four convenient locations, three in the greater Kansas City area and one in Lawrence. Their goal is to provide the best in service, advice and products to runners and walkers at all levels. – Club members receive 10% off running shoes. The Running Well Store opened its doors in February 2006 to serve the Northland’s running community. Initially doing business as Sports Medicine Store/Metro Walk and Run, the store name has changed to better reflect the evolution of our business. Same great staff and customer service with a new name, new sign and new website. To help with injury prevention, The Running Well Store is committed to providing your perfect pair of shoes. We believe that the correct shoe fits not only your foot but also your style of running. To determine your shoe for running or walking well we complete a FREE Stride Analysis. – Club members receive 10% off any purchase. KC North Spine & Joint Center offers a different kind of care than your typical chiropractor. We address everything from joints to muscles and ligaments. We believe that each patient is unique and deserves equally distinctive treatment protocols and so we offer each patient a combination of Chiropractic adjustments, Active Release (A.R.T.) and Graston Soft Tissue Techniques, and Rehabilitative exercise. We take extra time to look at how you are functioning in your daily life and set goals to get you back to doing those activities. Our goal is to get you out of pain and then give you the necessary tools to keep yourself out of pain. – Club members receive a 20% discount on all of our services here at the office. Cycle City Bike and Running Company is the one of the premier biking and running stores in the Greater KC area. Located in historical Parkville Missouri, they treat every athlete with professional care on all things biking and running. They are Cannondale, Cervelo, Felt, and Salsa road bike specialists but can provide services on all bike makes and models. Their running shoes brands include Asics, Brooks, Mizuno, Pearl Izumi, and Saucony. Their goal is to provide the highest quality service, advice and products to riders and runners at all levels in the Greater KC area. – Club members receive 10% off on all biking and running accessories. Since February 2006, Baan Thai has been dedicated to bringing a unique and authentic Thai dining experience to the people of Leavenworth and the greater Kansas City area. Dine-in or carry-out, they promise the best Thai food this side of Bangkok! From spicy salads to rich noodle dishes, they offer a wide range of choices for any taste. They offer authentic Thai beverages, like Thai ice coffee and Thai ice tea, and special Thai deserts, like their famous sweet rice and mangoes. They even have a selection of American dishes for the kids.